In a family, it’s natural to have others who give advice, look out for our well-being and best interests, and want nothing but the best for us. One organization in Texas is ensuring that those same supportive, familial qualities exist for children placed in Texas’s child protection system. Through Texas CASA (court appointed special advocates), volunteers are helping thousands of neglected or abused children get out of foster care and into permanent homes. 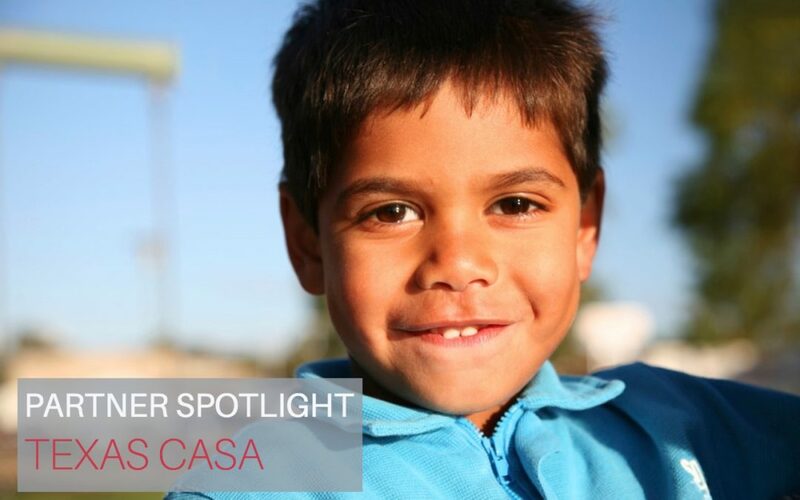 CASA’s are trained volunteers who advocate for children while they are in foster care, speaking up for them in court, working with everyone in the child’s life – teachers, doctors, social workers, family members – up until the time they find their forever home. When you consider the numbers, the work of Texas CASA is extraordinary. Every day, 52 children are removed from their home and enter the foster care system. 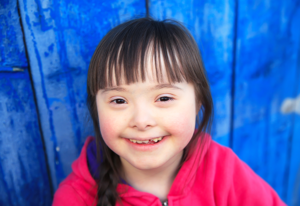 Providing a voice for these children while guiding them toward stable, loving homes is at the heart of what CASAs do. Leading the way for Texas CASA is CEO Vicki Spriggs. Tell us about your work with Texas CASA? As Texas CASA CEO, my role is to provide leadership to the Texas CASA staff and all those comprising the CASA community. I enjoy the opportunity to make a difference for children who, through no fault of their own, end up in our state’s child protection system. I am able to do this by constantly supporting and challenging the staff of Texas CASA as we seek out new opportunities to value our clients, the 71 local CASA programs and their staff/board of directors. The resources, trainings and assistance we provide the local CASA programs support their ability to make a difference to the more than 9,000 volunteers across the state who are donating their time and talents to make a difference in the life of a child. The difference they are able to make starts with quality on-boarding training of the CASA volunteer and coaching throughout the term of their service. Another source of enjoyment is the Texas CASA staff – I am able to work with an incredible team of people who are committed to working to make a difference. The energy, creativity, commitment, wisdom and varied experiences of all those who work here make it a joy to come to work even when there are incredible challenges facing us. When a child enters the child protection system because his or her home is no longer safe due to abuse or neglect, a judge may appoint a committed volunteer to advocate for the best interest of the child in court and other settings. That volunteer is called a Court Appointed Special Advocate, or CASA. CASA volunteers are everyday community members who make an extraordinary difference for children in state care. They get to know the child and gather information from everyone involved in their life, including family members, foster parents, teachers, social workers and other relevant people; in order to form a holistic understanding of the child’s unique needs. They speak up for the child in the courtroom, at school, and in other settings with the overall goal of getting the child out of the system and into a safe, permanent and loving home as quickly as possible. How else is Texas CASA involved in advocating for children in the child protection system? As the statewide organization, Texas CASA provides financial support and services to help ensure the 71 local CASA volunteer advocacy programs operate effectively and can seek out the best possible volunteers who will work tirelessly and diligently to help children find their forever homes. We also take CASA advocacy from the courtroom to the Capitol by advocating at the state level for effective public policy that will improve the state’s foster care system and ultimately, the lives of the children in its care. What is something most people don’t know about your organization? Our staff is truly “all in” for the CASA cause. Though we do not directly work with children, many Texas CASA staff members are CASA volunteers, dedicating their free time to furthering the CASA mission. In addition, some of our most loyal donors are our own staff members. In the past few years, we’ve also reached 100 percent staff giving. Are there any special initiatives in the near future for Texas CASA? Texas CASA is not only seen as a leader in child welfare in Texas, but also nationally. Currently, we are spearheading several major initiatives that have the potential to transform advocacy for children in the child protection system. The first is Collaborative Family Engagement (CFE), a unique family finding project that partners CASA and CPS as a true team to create a community of support around the children and their families. CFE focuses on the idea that children have many blood relatives and other important connections that can be identified and located, and engaged with a child welfare case from the start – effectively reducing the time children spend in care and connecting children with adult support systems that will last even after CASA and CPS involvement ends. How can people get involved with Texas CASA’s efforts to help children? If you’re ready to speak up for a child who needs you, you can visit www.BecomeACASA.org to locate and contact your local CASA program and take the first step towards becoming a CASA volunteer. There are a few basic requirements: you must be over age 21, able to pass criminal and CPS history background checks, willing to participate in an in-depth training program, and willing to commit at least one year of your time to a case. Beyond those qualifications, there is no special background or education required – just the desire to help abused and neglected children. In addition, if you know someone who you feel has the heart, strength and compassion to speak up for kids, you can let them know by nominating them today at www.NominateACASA.org. You can also support the efforts of Texas CASA and the CASA community statewide by donating to Texas CASA at www.TexasCASA.org/ways-give, or by donating your “spare change” with CaringCent at www.TexasCASA.org/CaringCent. What can you tell someone who is thinking about donating to Texas CASA? A donation to Texas CASA is an investment in the future of Texas’ children. By making a gift to Texas CASA, you can help the CASA program(s) in both your community and around the state to provide the very best volunteer advocacy for children in the child protection system. I am proud to say that last year in Texas, more than 9,100 committed volunteers advocated for 27,953 children. With nearly 49,000 kids currently in the system, almost half are still in need – Texas CASA strives to help bridge this gap, and your support is essential for us to one day provide a volunteer for every child who needs one. Why did you choose to partner with CaringCent? We love that our supporters can help provide a voice to thousands of children in care by donating their spare change. CaringCent has provided an easy, hassle-free way of donating and we know that our donors appreciate the convenience. Want to learn more about some of our past featured nonprofits? Click here!